This FAQ provides some advice around recent questions State Records has received in relation to Council amalgamations. Information is an asset needed for the business of local government to continue; this is critical at any time but is especially important to assist in transitioning to new administrative arrangements….. It is vital that records continue to be created, captured, managed and preserved throughout the change…..
What do you do about published information, for example Annual Reports and open access information released under the Government Information (Public Access) Act 2009 (GIPA Act)? What do you do about records of former councils? Under section 32 of the Local Government (Council Amalgamations) Proclamation 2016, all “assets, rights and liabilities of the former councils are transferred to the new council.”…..
EDRMS for the respective Councils will contain information relevant for the particular Council. The merged Councils may decide to migrate to one EDRMS or to start a new EDRMS….. 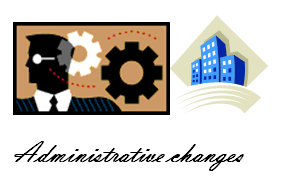 This FAQ Checklist may be useful for organisations that have had administrative changes. To read more please click on the links.